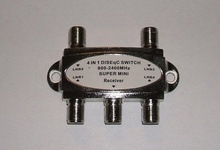 DiSEqC Switch 4 in/1 out 900-2400MHz 3dB. 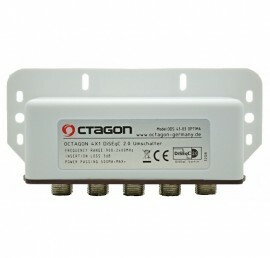 Power passing: 500mA max. Include weather protection. 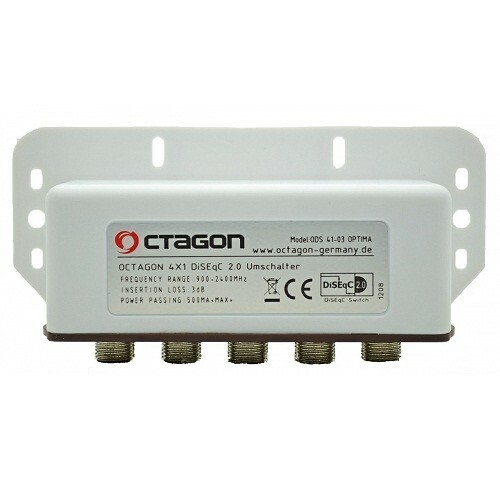 Cross Reference: 3D HD Ready ODS41-03 Optima. 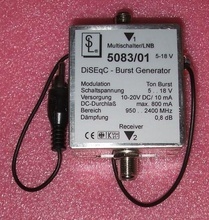 DiSEqC Switch 4 in/1 out 900-2300MHz 3dB.